Incorporated in the year 1992, we are manufacturers and exporters of fine quality leather products for the past 25 years. Our manufacturing facility is situated at Mumbai, India. We are committed to consistent quality, economically priced products and punctual services. 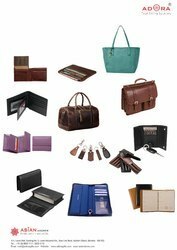 Elegant genuine leather and imitation leather wallets, conference bags, laptop bag, travel bags, messenger bags, purses, folios, folders, ring binders, organizers, pen cases, passport covers, checkbook covers, tie cases, menu covers, mobile covers, card cases, luggage tags, key chain, desk pads are some of our products. Our products are uniquely designed with neat finishing and flawless stitching. A streamlined production process and efficient coordination with our customers, enables us to fulfill bulk orders in time, always. Maintaining high Quality has always been the main objective of our firm. We provide high quality products at cost effective rates this has helped us gain opportunities for growth. The range offered by us is manufactured under strict supervision and Quality control.Every product is handcrafted.We are following ethical business dealings, customer- centric approaches and economical prices. We use high quality Real leather in all our product range.Depending on customer demand we can produce their requirement in Vegetable Tanned Leather which is as good as the best in the world. And for those who would like to have the products priced economically we can produce the entire range in high quality PU Leather. We also undertake client specific packaging of our consignments for maximizing the convenience to our clients. 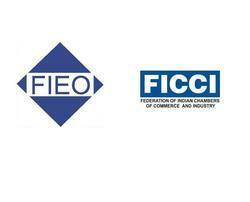 Federation of Indian Export Organizations. Conference Folder, Ring Binder, Certificate Holder, Planners. Menu Cover, Diary Covers, Organizer, Photo Album Cover. Ladies Wallet, Men’s Wallet, Travel Wallet, and Money Clip Wallet. Laptop Bags, Travel Bags, Cosmetic Bags, Haversack Bags, Messenger Bag. Checkbook Holder, Pen Holder, Key Holder. Card Cases, Tie Cases, Coin Case. Mobile Phone Cover, Coasters, Corporate Gifts, Desktop Items and Many More. ADORA-Total Gifting Solutions” is a registered trade mark of M/S Asian Adores. We have been manufacturing & exporting Leather Products since the year 1992, our manufacturing facility is situated in Mumbai, India. We have a professional in-house design team to aid you in all aspects of product design: from style, trend, color, materials and even packaging, in order to ensure that you have a customized product which you can be proud to promote in your market. Our manufacturing facility in India produces very fine quality leather products, hand crafted by very skillful and well trained craftsmen. We continuously assess and review our products; ensuring we can always offer the latest designs at the most competitive prices . We have a stringent quality control system. Raw material control / process control / component quality control / finished product quality inspection/ mass production spot check. Our standards are internationally recognized. 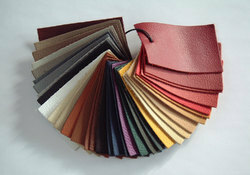 We export our leather products to USA, UK, Europe and Australia. Excellent quality, prompt service and reasonable price is guaranteed. We would be delighted to work with you and look forward to establishing business relationship with your company.